Can I tell you how long this quilt has been in process? I believe I received some of the fabrics and the pattern in 2016 as I started to venture into the world of internet quilting. That journey was born on a need to have a quilting community beyond my physical one in the greater Boston area. We are moving slowly to Maine full time, and this was one of the ways I could stay connected on an island in Maine. Maine has its quilters, but the island adds some challenges to getting to meetings, etc. This decision has served me well – new friends, new skills and new adventures (Island Batik Ambassador). I am very lucky. I am not sure any longer how I won this patttern, but I did. I already knew this method for creating flying geese, and have taught it many times. I loved this quilt. When I won the varied dark blue & grey batik fat quarter bundle, I knew this would be what I would make. One day that luscious background came into the Cambridge Quilt Store (where I was working) and a dream was born. I went to Bits N Pieces in Pelham, NH to quilt this piece. I did it on a 24″ Handi Quilter that was a dream to work with. I was ably assisted by one of the fantastic staff people there. I highly recommend going there to rent a machine to quilt. It was the perfect machine and really was quite reliable through the process. I wanted motion in the quilt – the geese returning home. I know the pattern designers vision was the geese flying south, but I like when geese return to New England, so I will put it on the bed as below! 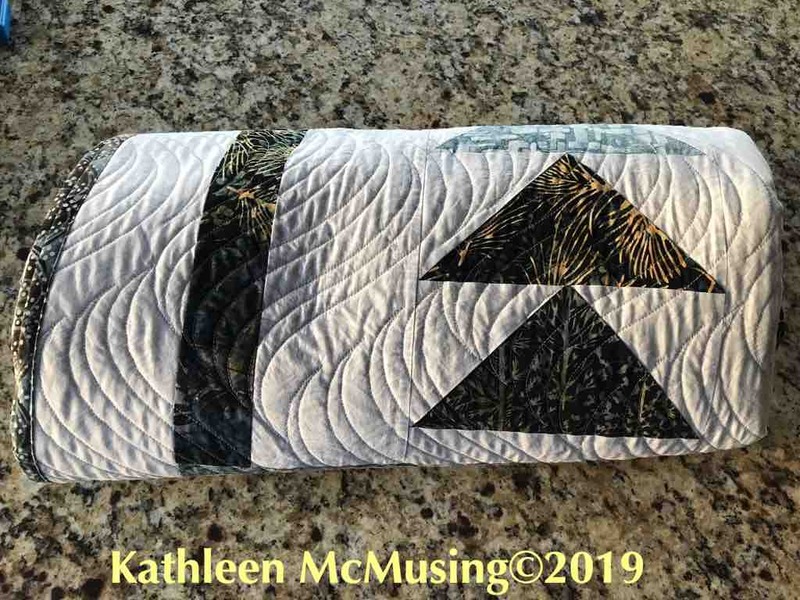 I used a pattern from Anita Shackelford’s modern quilts series – Modern Eccentric. It is a large, dense pattern – less than 5 passes to do the whole quilt – how easy is that? I am so pleased at the way it turned out. I hope you enjoy it as much as I do. I have been referring to it as Grey Goose, but it is geese. The Greylags fascinated me in England, when we would visit my in-laws, so it is an homage to them. You will also shortly see goals for the second quarter, an Island Batik project, and a summary of my quilt weekend. I have been buy. Congratulations on the finish, it turned out beautifully. It sounds like the quilt will have a lot of good memories associated with it. Indeed, this quilt does. The pieces I used were as I was beginning my foray into the world of internet quilting and the annual return of the birds is something I love. I appreciate the need for the fall migration, but selfishly want the birds back. Beautiful quilt! 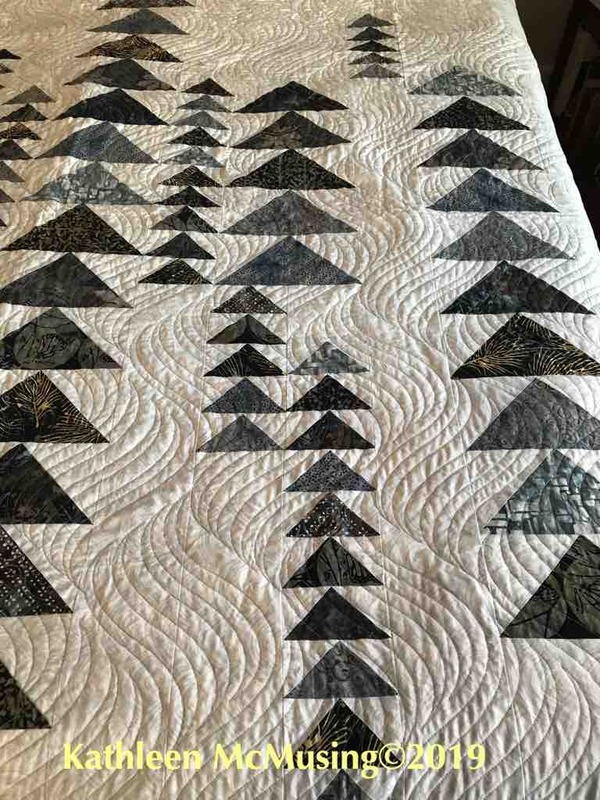 The simplicity of the pattern and the movement of the quilting are perfect together! Thanks, Laurel. It was a fun one to quilt. I rented a longarm at Bits and Pieces, highly reommend the experience if you ever do those things. Thanks, Roseanne. I love it and am glad you enjoyed it too. I would like to be a little less busy…going to work on that. This is stunning Kathleen. The lovely soft waving lines of quilting are the perfect choice. Thank you so much. I think the quilting pattern was just right for this quilt. Oh wow!! Do I ever love this quilt! I’ve had a thing for flying geese for a long time, perhaps because their return to Alberta when we lived there for so many years made my heart sing after those long cold dark winters. The motif you used to quilt it is perfect. Beautiful finish. Thank you so much, Sandra. It is funny how those in the north, really look forward to the return of the birds from their visits to the warm south. I do love that motif – Anita Schakelford’s designs are terrific. Kathleen, it looks fabulous all spread out on a bed! You know I love that quilting. Only 5 passes! Wow! 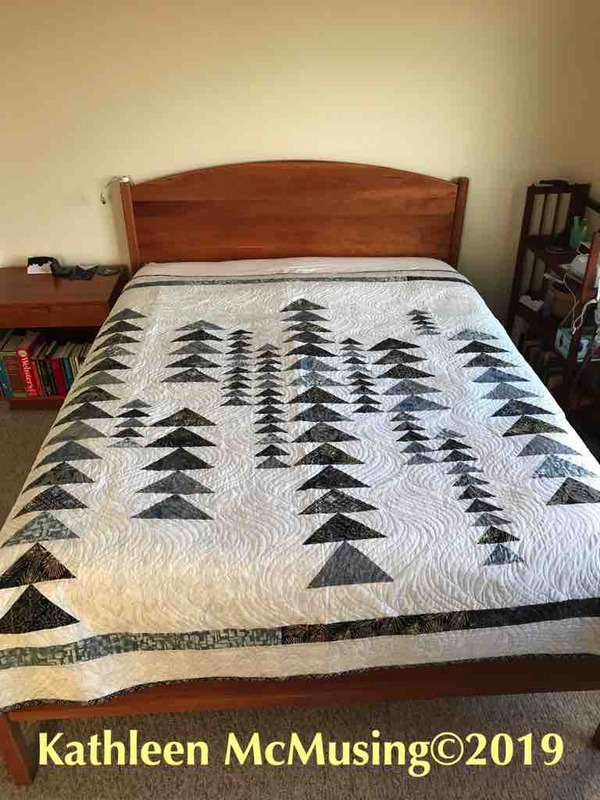 My DH says your quilt looks like a pine forest, FWIW. A 24″ machine is a monster! It was so much fun to use. Love your husband’s interpretation – it is always interesting to see what others see. Oh wow this is beautiful, you did an awesome job on the quilting also. Thank you, Vicki. I really love the way it turned out. Flying geese are my favorite and this is just beautiful. Well, nothing “just” about it. You have my preferred pallet also. love this pallet and really love the way this quilt turned out! 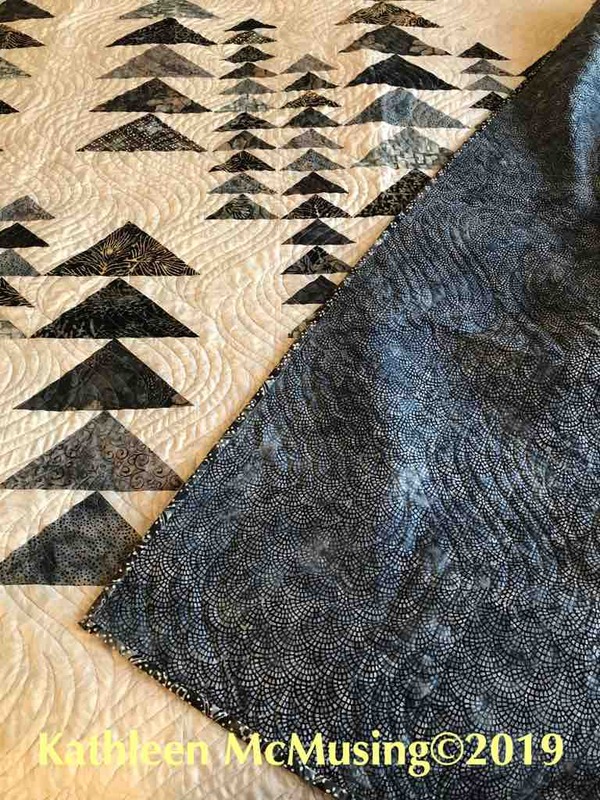 I love this quilt – the greys are beautiful. I especially like how you quilted it. So pretty! Thank you, I am really proud of the quilting. This is gorgeous, Kathleen! I can’t believe you quilted it yourself on a rental machine. It looks so professional! Were you following a paper pantograph design? I would have thought it was quilted by a professional longarmer who’d been quilting hundreds of quilts every year. Actually, it was a computerized one, so it took some of the work out of it – a great machine 24″ handiquilter. The design is by Anita Schakelford and called Modern eccentric. https://www.anitashackelford.net/modern-set-1.html if you are ever looking for it. Some of these machines make it look so easy. Beautiful quilt! I love the quilting on this. Great choice for this quilt I’m thinking! Thanks for sharing on Wednesday Wait Loss. Thanks, Jennifer, I think it worked well. Kathleen, This quilt is lovely!!! 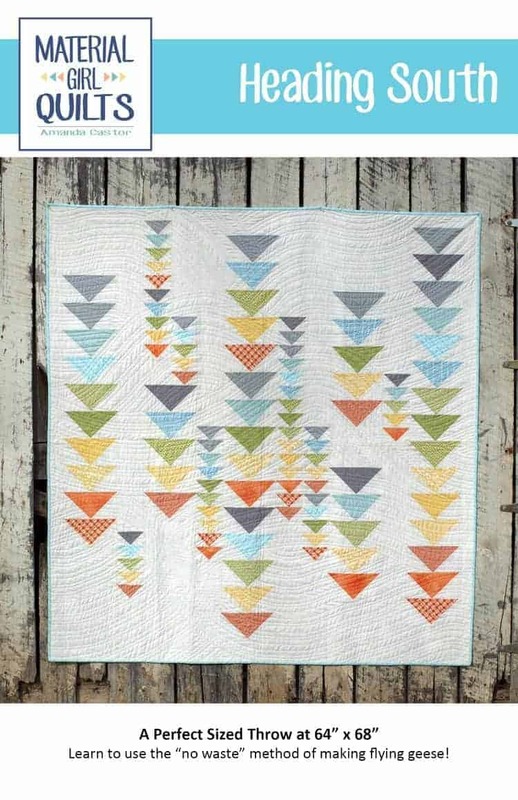 I must be turning modern as I’m attracted to quilts with gray colors, lots of negative space, and interesting and/or dense quilting. BTW: I don’t think three years is bad in the making of a quilt. Sometimes, my quilts have to sit for awhile while I get inspiration, figure out how to solve a problem, or just age a bit (the quilt…not me). Thank you, Karen. There were always parts of the modern movement that attracted me, and I have shied away from the big open space stuff because of the quilting. I think this pantograph was perfect for this quilt. I know what you mean about that “cooking a bit” until it is right. It happens a lot to me. Your quilt looks amazing!! I love wave quilting.